definately MY STYLEIts been a long time since I bought a wig (back in my 20's) well I turn 63 tomorrow and this was a present to me. Oh My Gosh it was a perfect style for me! I just ordered the red fire shade because its like my present colour. 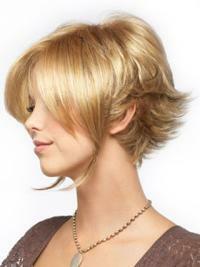 I love this wig its easy to ware and its definately MY STYLE! I do look 50! I'm Happy! a perfect matchThis is my first wig and I bought it just for fun. It looked like a perfect match for my hair colour and it is the same length. I wore it out one night and no one knew it was a wig, but it is a little fuller than my own hair and I love it. The quality is great and it comes with a travel head and great "care" instructions. I am now thinking of letting my hair grow a little more so I can pull it up and get a small wiglet to add volume to the top. I've already recommended the site to a friend. Amazing!I have about 5 wigs now and this one is the best yet! I had the bangs trimmed. I wore to work yesterday and everyone just had a fit over it!! Amazing! Very cute. It a keeper for sure. I am going to order another one in different color just for fun. 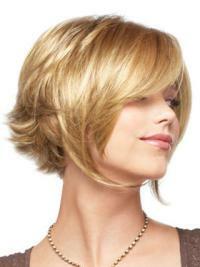 received many complimentsI usually buy this style in blondes but I have switched to reds with blonde highlights. I have received many compliments on this look. I will definitely buy more styles in the reddish tones. 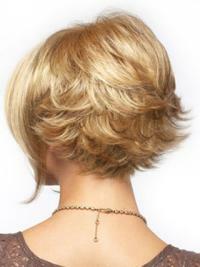 so many complimentsI have received so many compliments on "my hair style". Everyone has such positive things to say. I love wearing it.